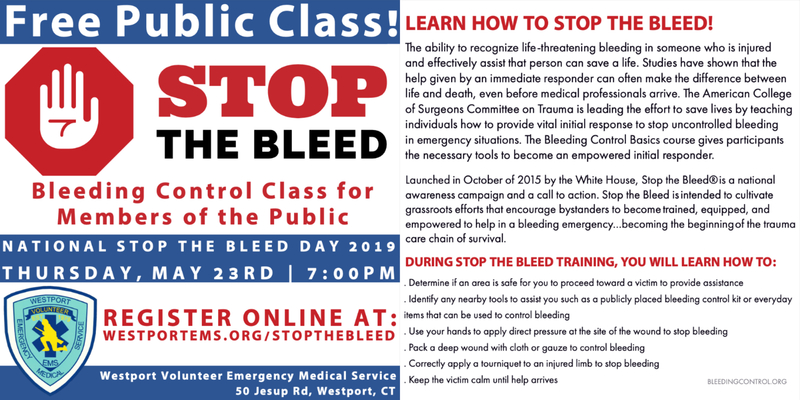 Stop the Bleed Training	 Free admission to the National Stop the Bleed Day training course with Westport Volunteer Emergency Medical Service. Would you like to be contacted with CPR and/or First Aid training opportunities? Would you like to be contacted with Emergency Medical Technician (EMT) course opportunities?